Ardrox® 9812 – 9814 are fluorescent penetrants, to be used with a separate emulsifier. 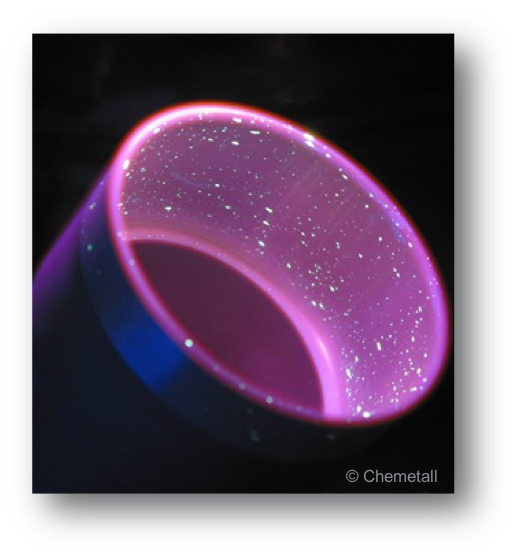 These products give crisp indications with exceptionally low levels of background fluorescence and have excellent heat and UV fade characteristics. They are ideal for electrostatic application. They are normally used in conjunction with Ardrox® 9881 hydrophilic emulsifier (10 % v/v max. ).